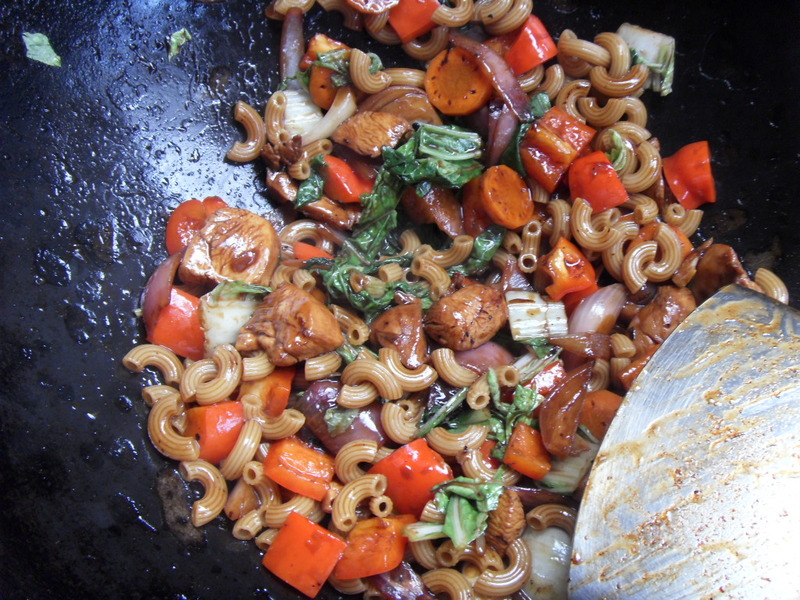 Today’s Macaroni dish is something a little different. It is like a Kung Poa with a lot less punch so to speak and I actually used black sauce. I bet when Carol reads this, she will just fall off her chair. My Macaroni today even has chicken pieces, luxury compared to the last few days. So it’s kind of a complete meal so to speak with my carbs, my vegetables and my protein. 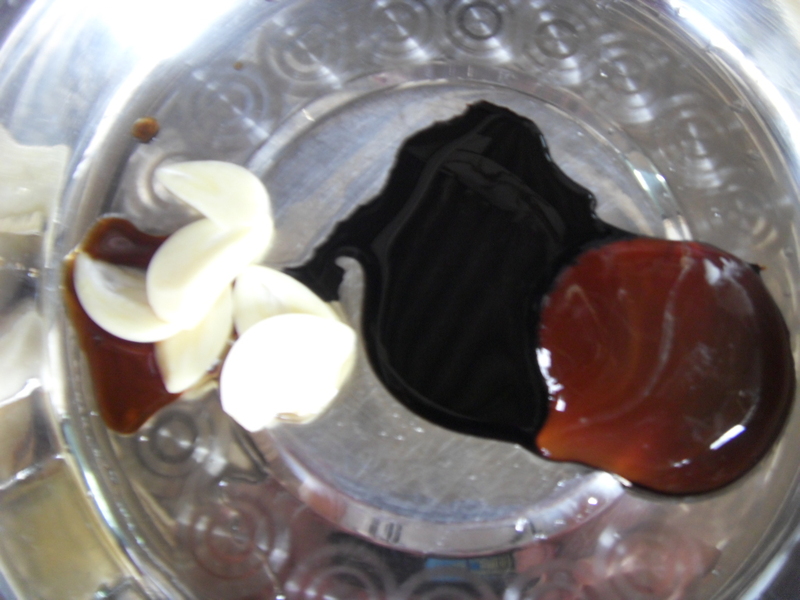 And today’s dish has sauces like oyster sauce, and the two types of soy sauce, dark and light, and sesame oil as well. I must say the last few days I just tend to feel a lot lighter then usual. I don’t have that horrible gluggy feeling that I have been going through for a while now and just now I tasted some Nasi Lemak Rice that Eda made for one of our food suppliers, the feeling came back almost instantly. Also I like everyone to note that I eat these macaroni only once that is around 2 pm. At night I eat whatever leftover vegetables my mum has leftover from dinner. So I am still eating but a lot more vegetables. So before I waffle on, here is today’s recipe. 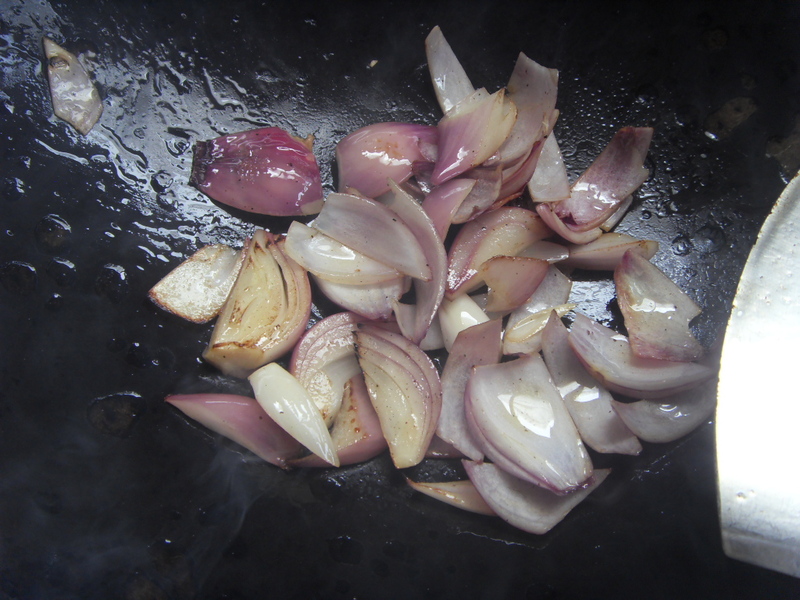 Heat oil, throw in onions and sauté till it is slightly browned. Do not use on high flame, just strong enough to color it. Add in chicken, sauce mix and sliced garlic. 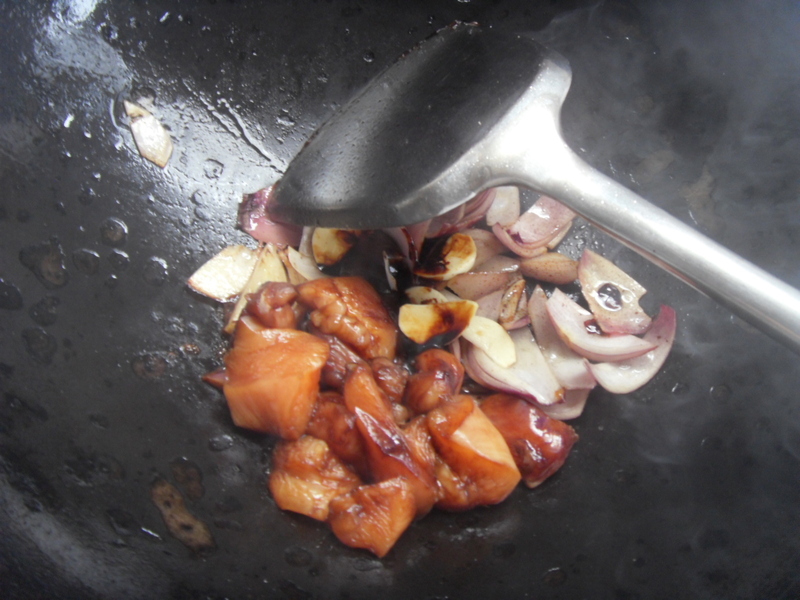 Sauté till chicken is slightly cooked. Add some water to the bowl and clear out any leftover sauce. 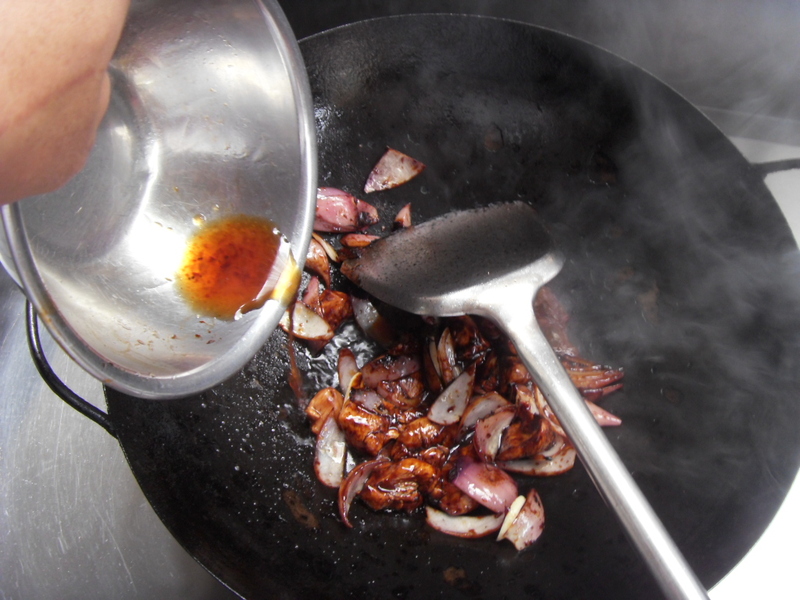 Pour into wok. 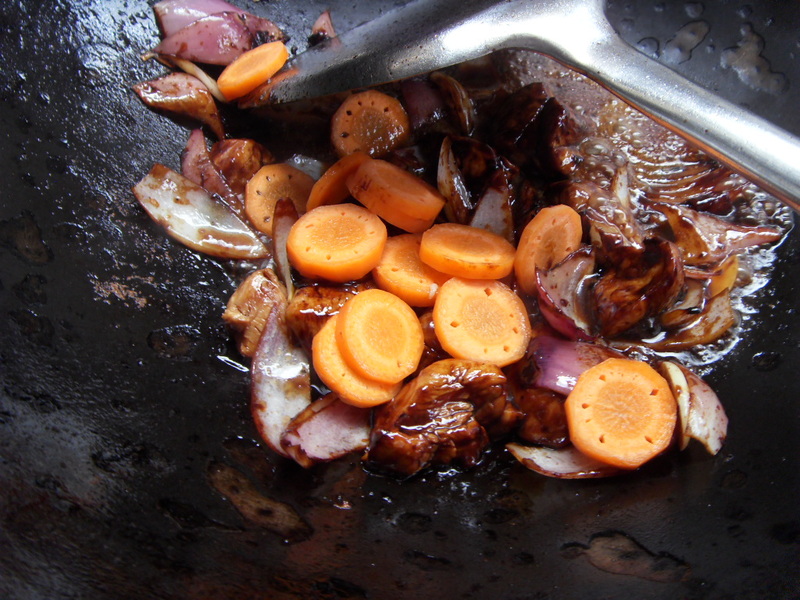 Add in carrots and leave to simmer for about three minutes. 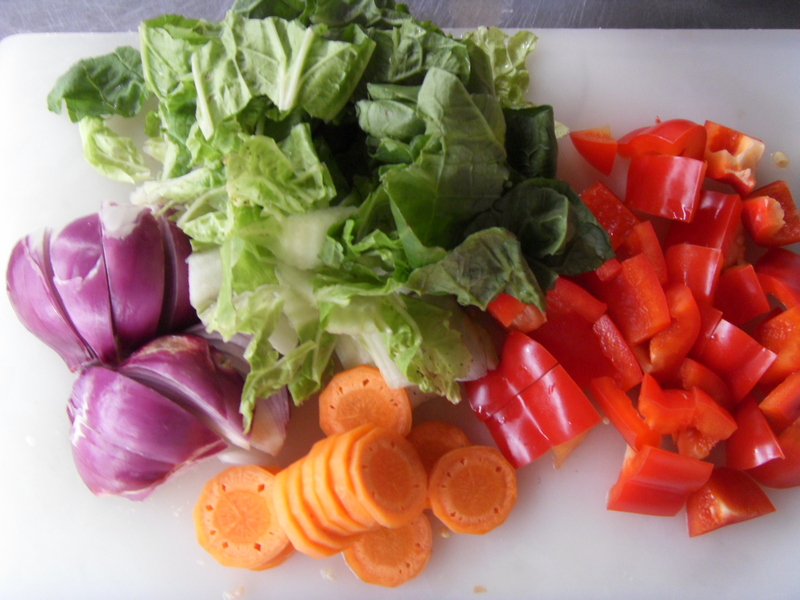 Add in Capsicum and give it a quick stir. Add in Macaroni and Cabbage. Stir quickly. Season if necessary. 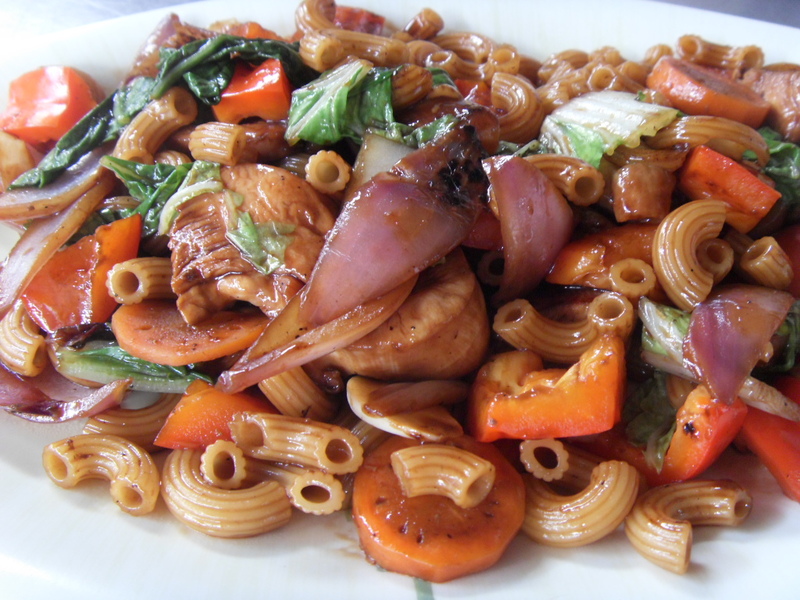 This entry was posted in Pasta Moments..Recipes to fight Rice and tagged Chef Nicholas Pillai, Macaroni, Nicholas Pillai, Quick Cooking, Quite Healthy, Recipe, Stir Fry. Bookmark the permalink.